Marc Siry serves as vice president in Comcast’s Strategic Development Group. In this role, he helps to develop and launch new business concepts across Comcast and NBCUniversal. 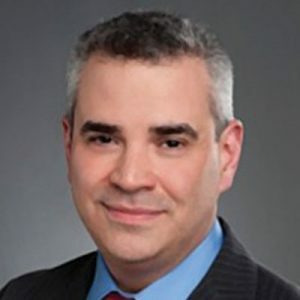 He also oversees Comcast’s Connected Health initiatives, combining Comcast’s technology and connectivity with NBCUniversal’s content and brands to create new product and content offerings for the health care market. Previously, Siry served as senior vice president of media products and advanced technology for NBCUniversal. He also served as senior vice president of digital products and services for the company. Before that, he served as vice president of user experience and product design, providing creative and development services to over 30 NBCUniversal businesses, including Bravo, USA Network, Syfy and Universal Pictures Home Entertainment. Siry’s initial assignment upon joining NBCU was leading product development for a digital syndication network, which would ultimately evolve into NBCUniversal’s contribution to Hulu. Prior to that, he held an eclectic series of creative positions at companies such as Marvel Comics, Mattel, America Online and Fox Broadcasting. Siry attended the University of the Arts in Philadelphia and the School of Visual Arts in New York, where he studied industrial design and illustration, respectively. He lives in Philadelphia with his wife and two children.